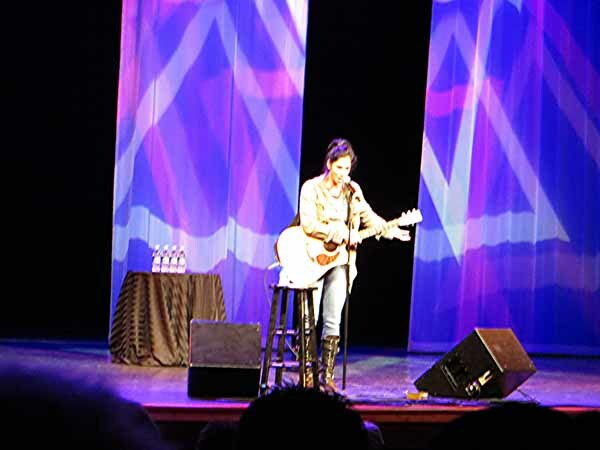 On Sunday night, Miss Sheri and I went to see Sarah Silverman at Mystic Lake Casino. Unfortunately, they don't allow us to take pictures of the performers and Miss Silverman went out of her way to tell us not to take pictures. I can understand why comedians don't want videos taken of their performances for fear of their act getting online and possibly affecting ticket sales, but why do they care so much about pictures being taken? Doesn't make much sense to me. 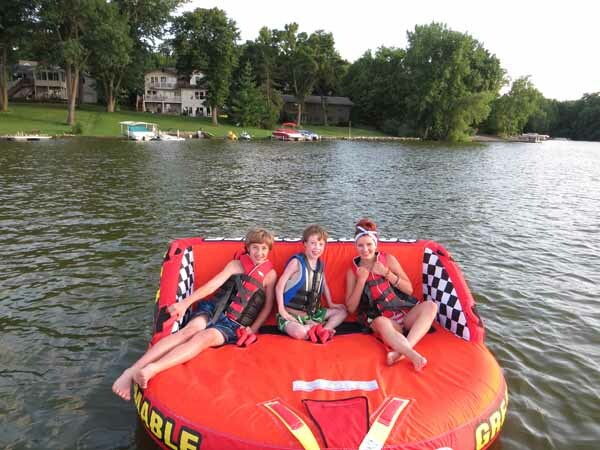 On Tuesday night, the boy's friend Rachel came over to go tubing. I'm getting more comfortable pulling the new tube and the kids keep telling me to go crazy while driving them. It's a dangerous combination. I became a bit nervous when I figured out how to get the tube to whip around so fast it's almost in front of the boat while we're flying through the water. When the rope gets slack in it the results aren't very pretty when it gets pulled tight again. 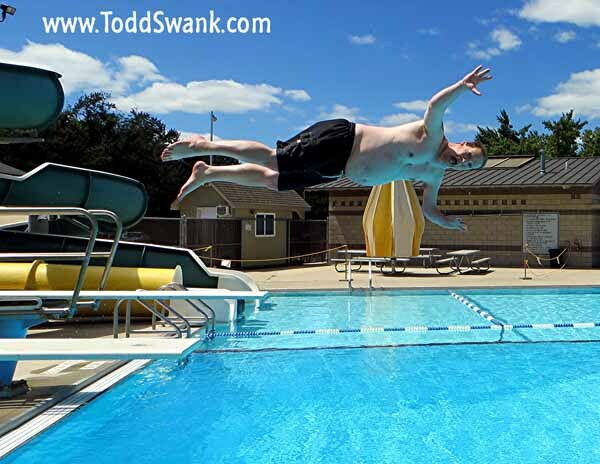 Luckily, the kids don't seem to mind getting concussions. 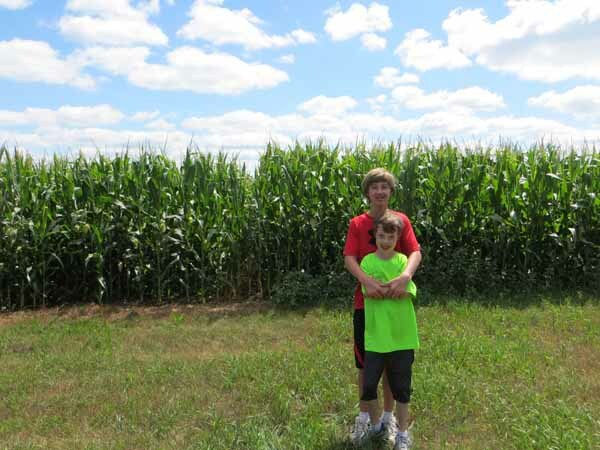 On Friday night, we headed to Grandma's Farm and were excited to see the corn is getting very tall. Just like our boys. 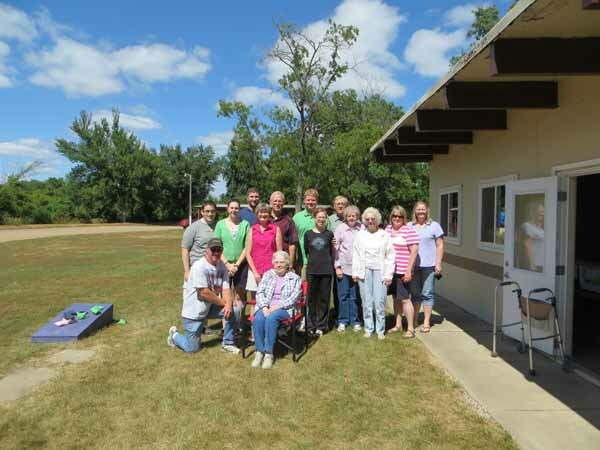 The reason for our trip was the annual Timmerman Family Reunion. We don't get as many people there as we used to, but it was great seeing the people that showed up. After we finish eating, I enjoy walking down to the Rock River to look at the rocks. And the river. 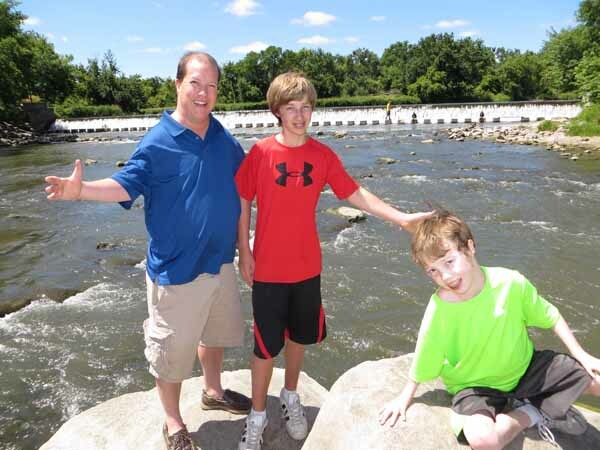 I drag the boys down there with me even though they don't seem especially thrilled with either rocks or rivers. If it doesn't have a digital screen on it, it just doesn't catch their interest. So I went back to get Miss Sheri and asked her if she'd come to the river with me. But then I got bored with the rocks and river and decided to figure out where the boys went instead. 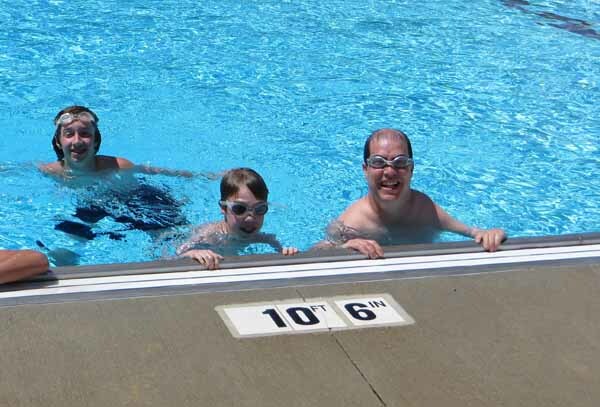 The boys went to the public pool which was practically empty because it was only 65 degrees outside. The water was warm, but once you got out of it the air was very nipply. 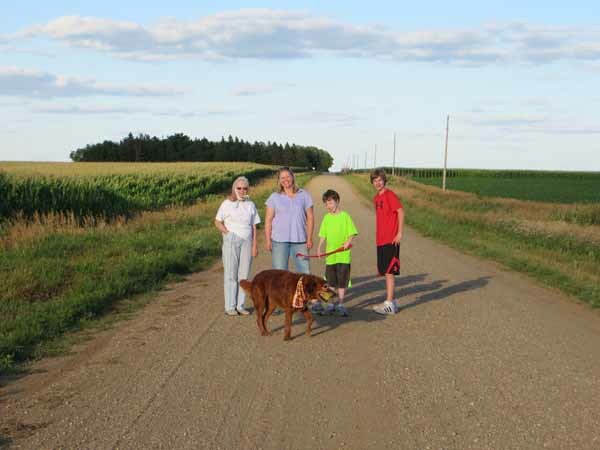 When we came back to Grandma's, Sunny asked us if we could throw his ball down the gravel road so he could run after it. It just doesn't take much to make that dog happy. 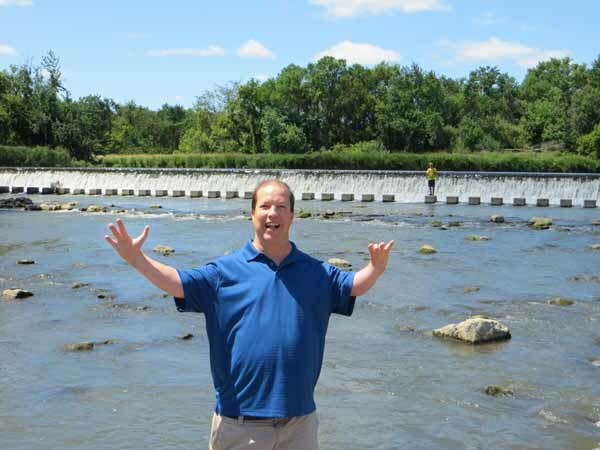 I'm sure he would have loved the rocks and river.